Is your Adwords campaign sending you a lot of traffic but you aren’t getting the results you expect? Are you worried that the agency you’re using doesn’t have your best interest at heart and just want to see if things are moving in the right direction? Here is a super quick and simple way to make sure your Adwords campaign is sending you the right type of visitor. Login to Adwords (https://adwords.google.com), go to the Campaigns Tab and set the date range to the Last 30 Days. 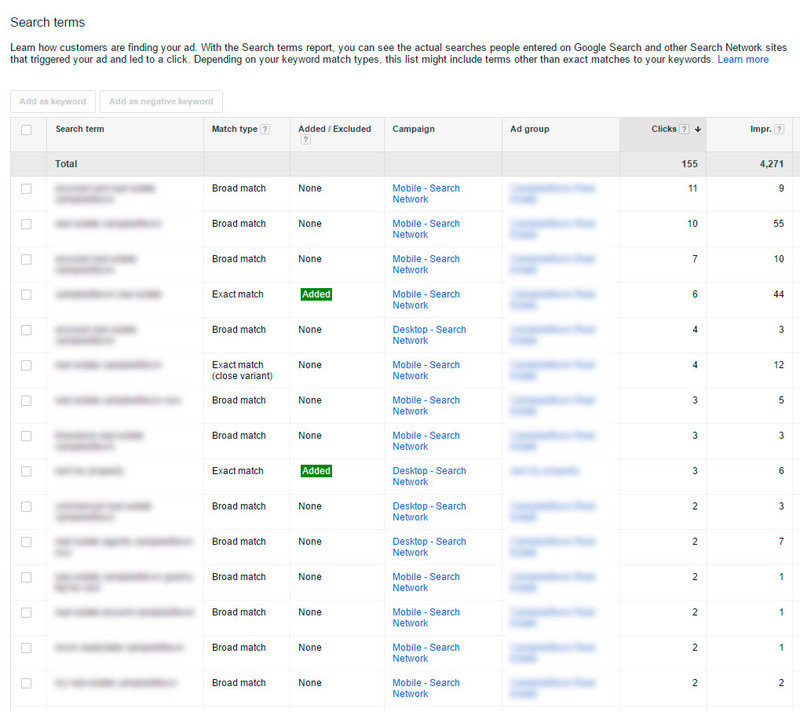 You will now see the list of search terms that sent traffic to your site from Adwords for the last 30 days. Go through this list of search terms and ask yourself – do I provide a solution to this search term through my website/landing page and will the person performing this search want to buy my service? If you’re getting a lot of clicks for ones where the answer is ‘no’ then the Adwords campaign needs to be addressed by tightening the keywords being used or through the use of negative keywords. If you for example are a truck mechanic but are getting a heap of traffic for motor bike mechanics then that can be resolved by adding ‘motor bike’, ‘motorcycle’ etc to the negative campaign list. If you find they are missing the mark in general and you are using an agency to manage your campaign then contact them for an explanation immediately. This report is a useful tool for clients to keep an eye on things. You need to be almost hypercritical of these search terms. Often people will hope the search term will work rather than looking for reasons it won’t work. Each click costs you money so only expect the best, at least until the current traffic is profitable. If you find that the search terms are actually on the mark then it might be time to look at the performance of your landing page. There is a mismatch between what you think you’re saying with your page and what the visitor is reading or seeing. Feel free to get in contact if you’d like me to have a look at your Search Terms view and see if the campaign is on track for success. I’m more than happy to provide assistance there.